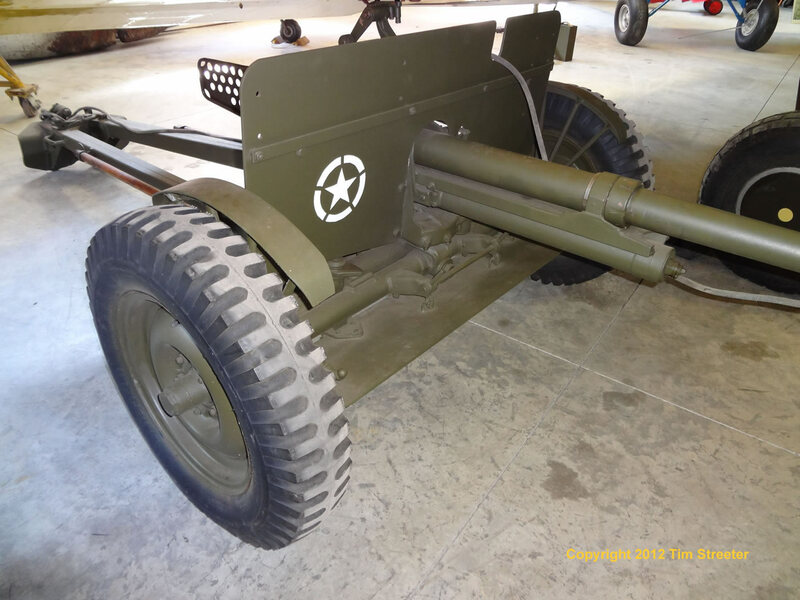 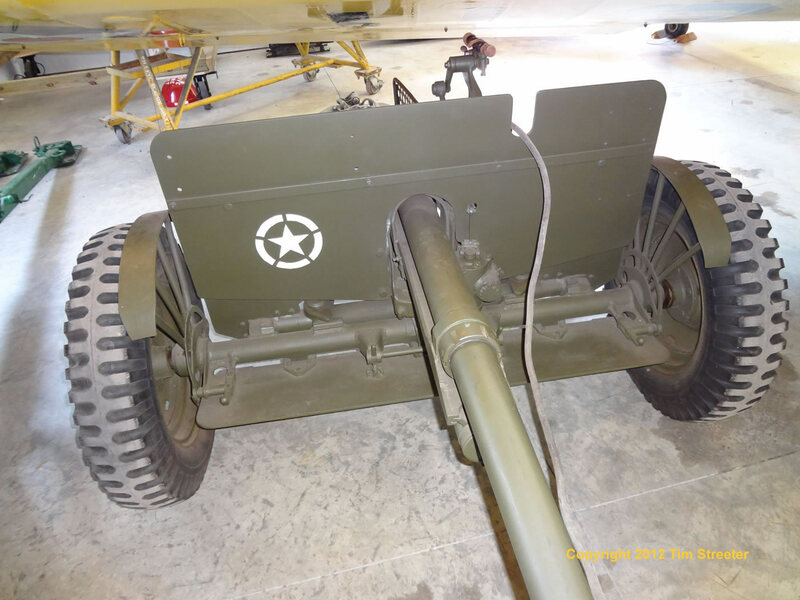 Even before the U.S. entered WWII, the 37mm gun was rendered relatively ineffective against enemy tanks as they had evolved with thicker armor since 1939. 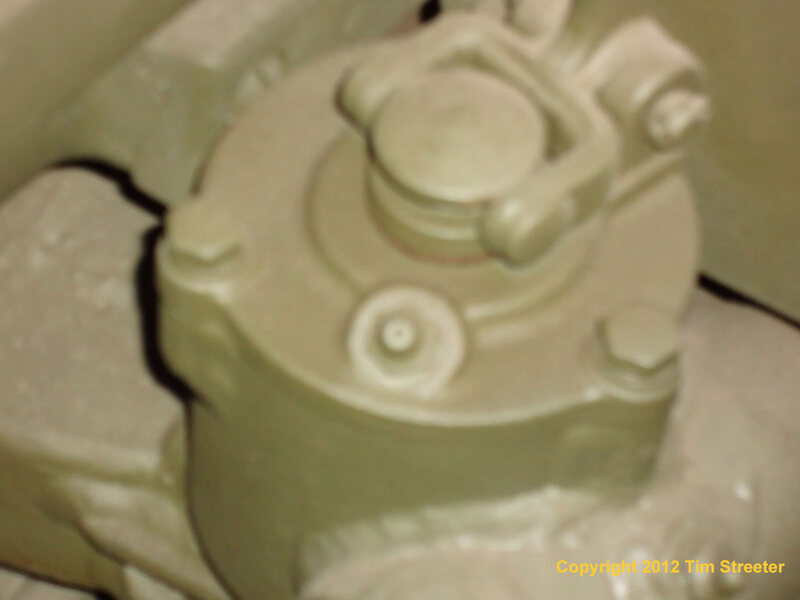 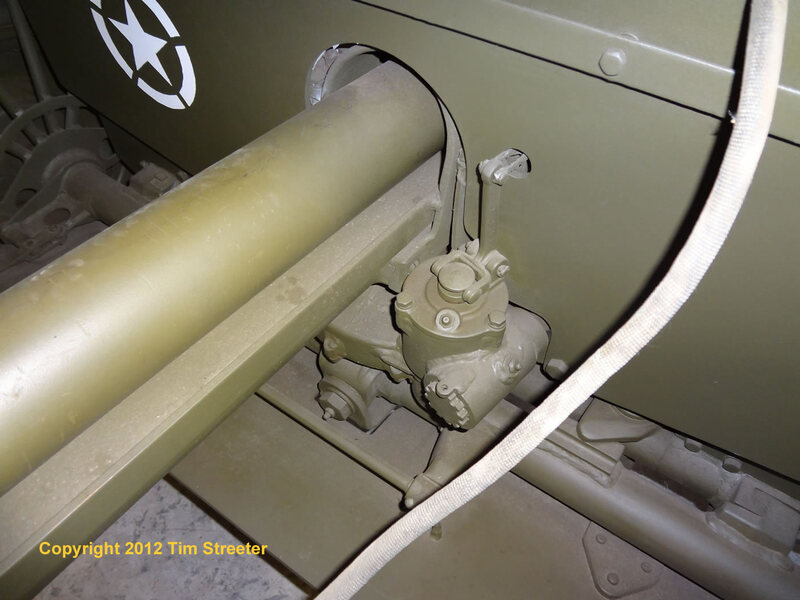 It was dropped from the armament of U.S. medium tanks when the M3 Lee was supplanted by the new line of M4 Shermans. 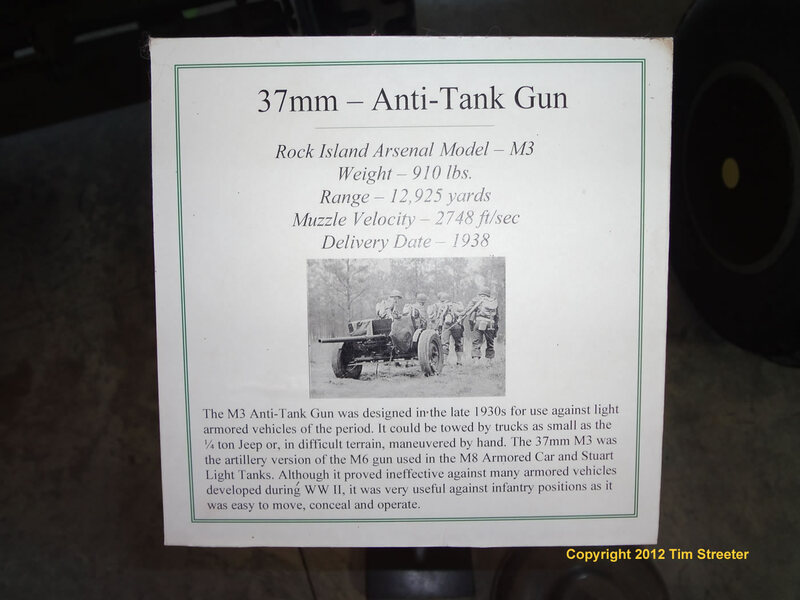 However, mainly due to the light weight of the gun itself (191 pounds) and its ammo, it had a role as a reconaissance weapon with the M3 and M5 Stuart tanks, the M8 Greyhound armored car, the LVT(A)1 amphibian tank, and short-lived mountings on jeeps and the M6 Dodge. 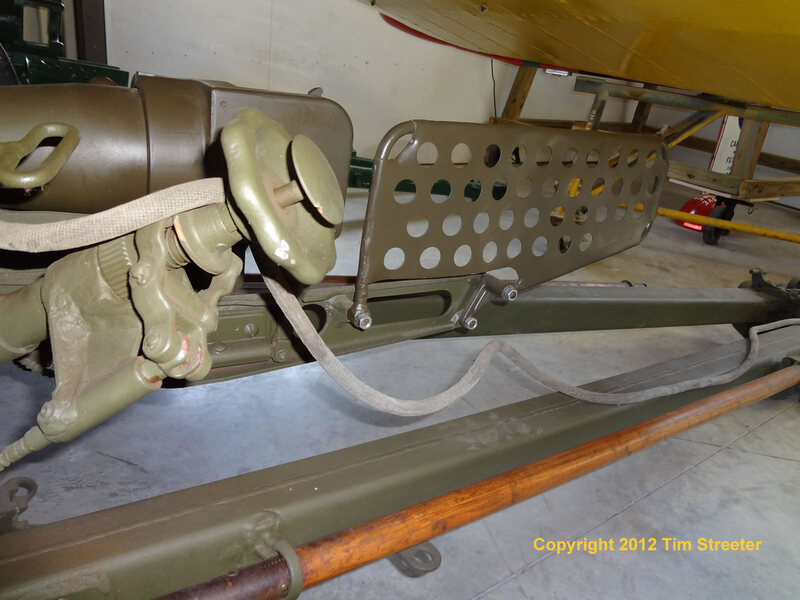 Other versions were employed as an anti-aicraft gun, cannon in the P-39 Airacobra fighter plane, and as a subcaliber training gun on larger artillery pieces such as the 155mm. 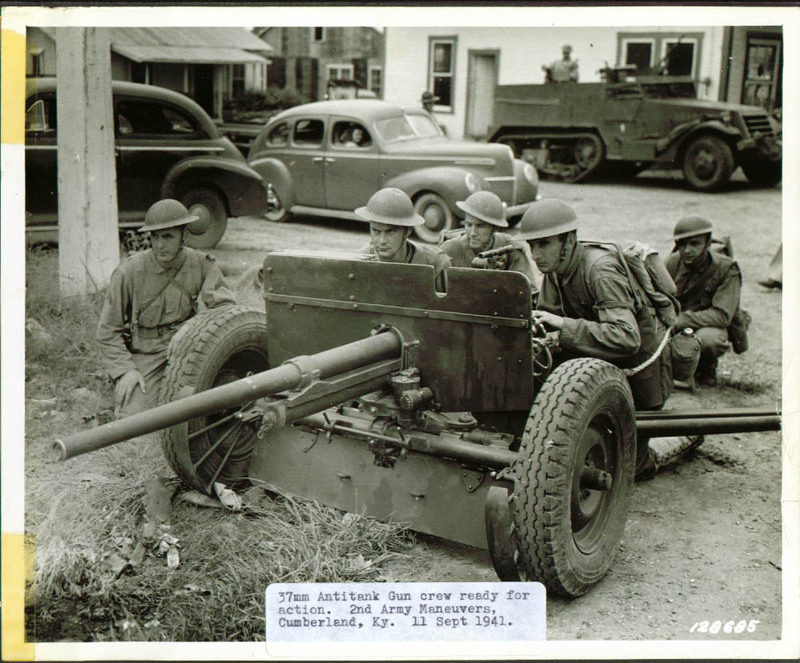 As a trailed artillery piece, the anti-tank gun was fielded in North Africa and Italy, and with better effect in the Pacific, where it could take on thin-armored Japanese tanks and bunkers. 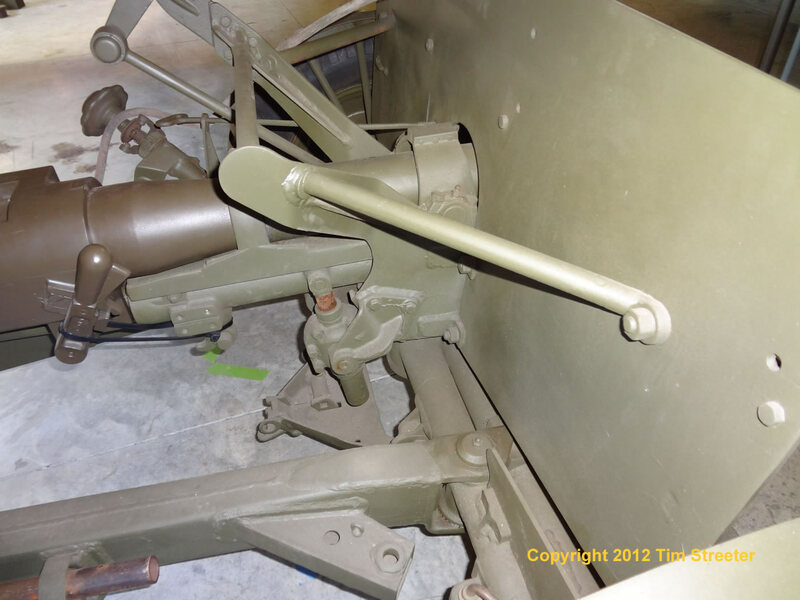 It ceased production in the summer of 1943 as the 57mm was standardized as the main infantry weapon against tanks. 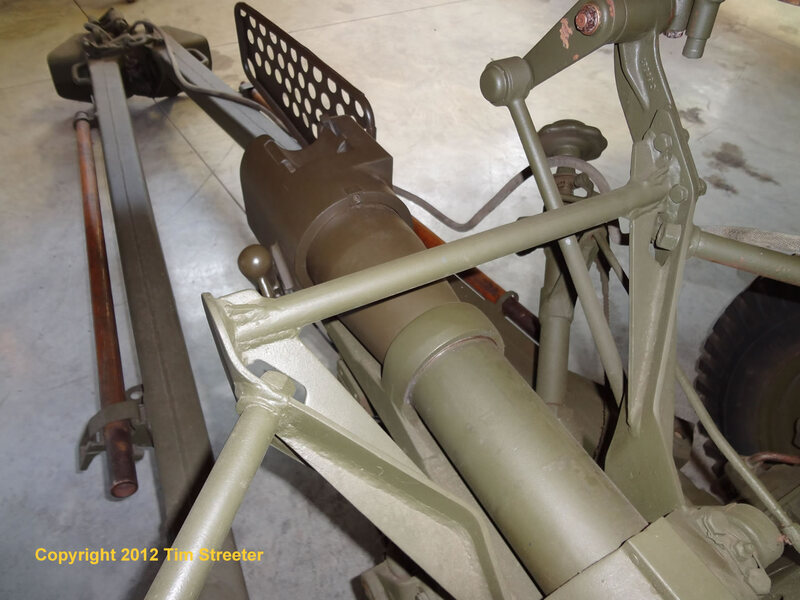 Still, there were a few instances of its use in France after D-Day. 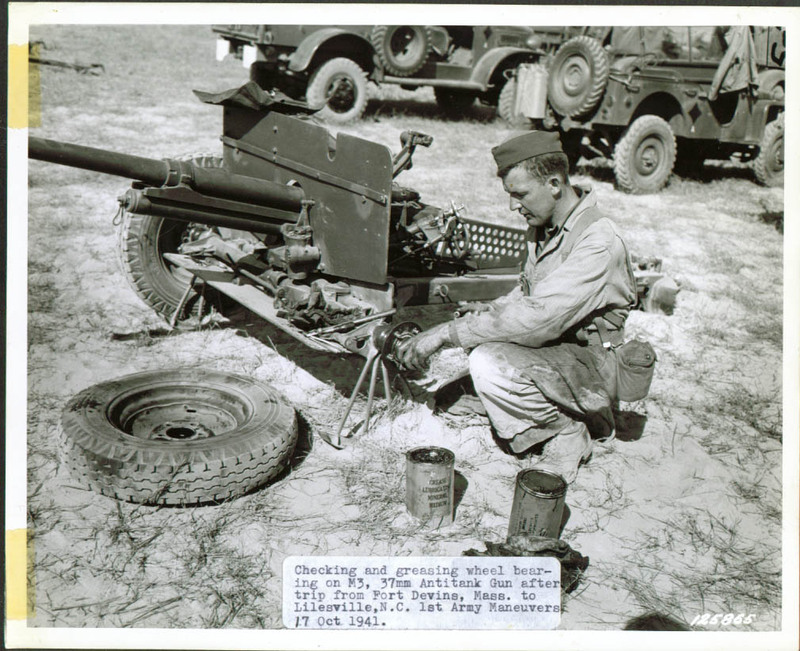 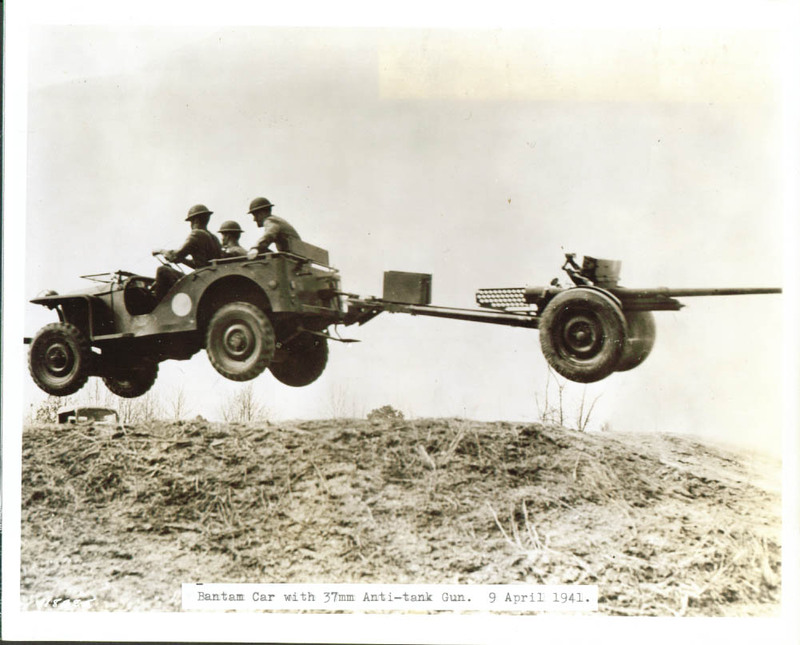 The gun was typically towed by a jeep (see the infamous photo below with the Bantam jeep during stateside training), M3 Scout Car—or virtually anything else with wheels or tracks, for that matter. 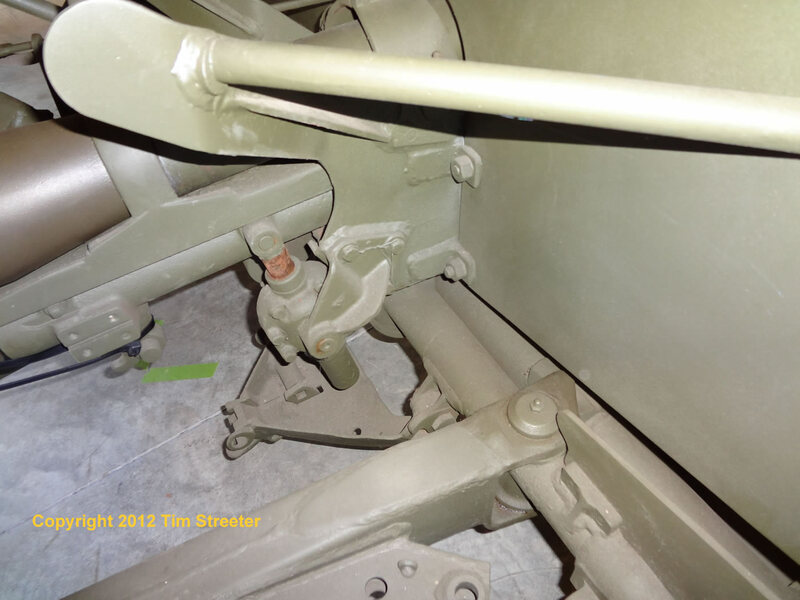 In 1/35 plastic, this vehicle is represented by the the old 1970s overscale, oversimplified Monogram kit, and the 2013 Bronco jeep kit. 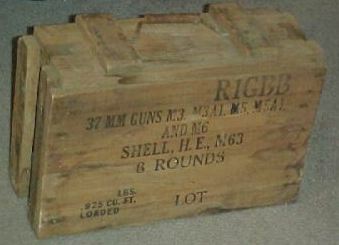 A resin version was offered by Trakz in the early 2000s but is now out of production. 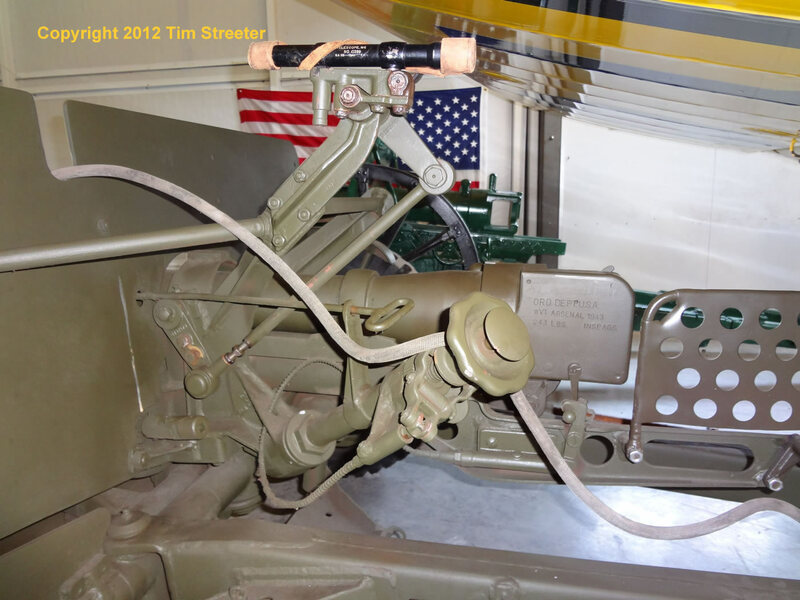 It remains to be seen if Italeri repurposes the 37mm included in its version of John Kennedy's PT109 torpedo boat. 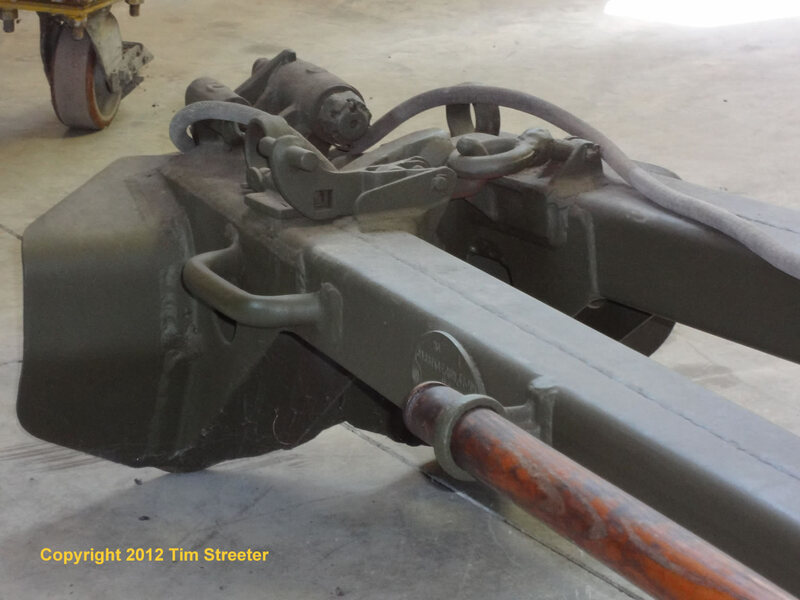 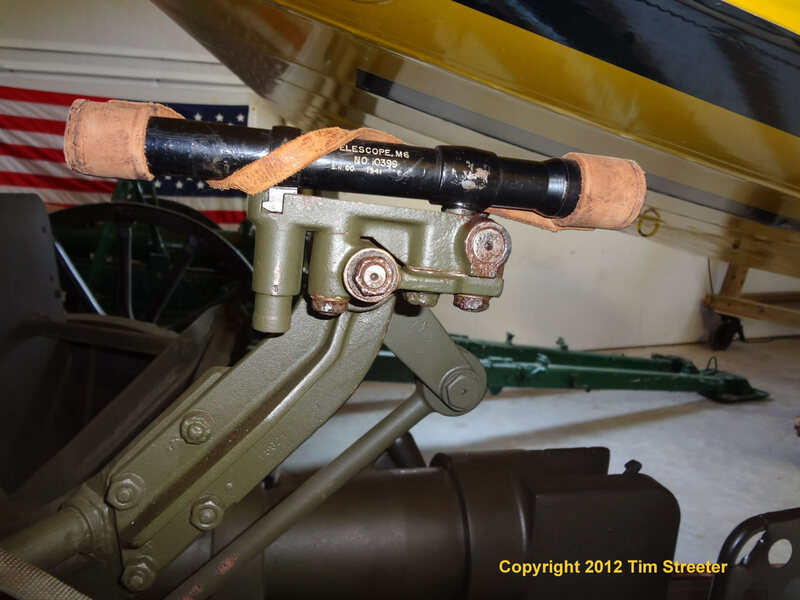 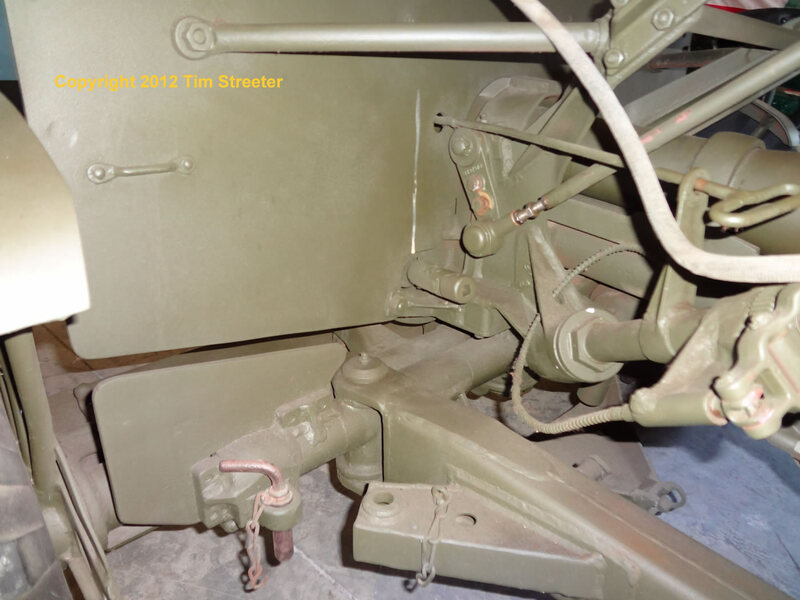 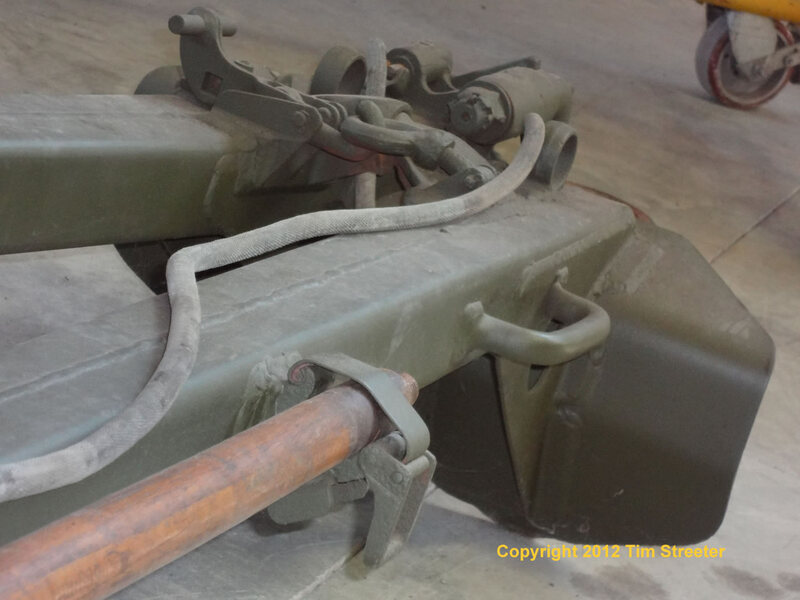 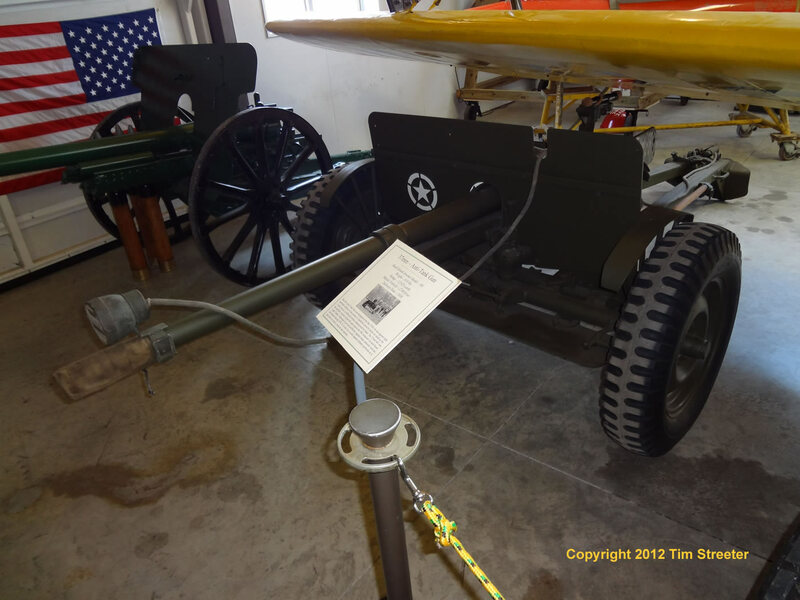 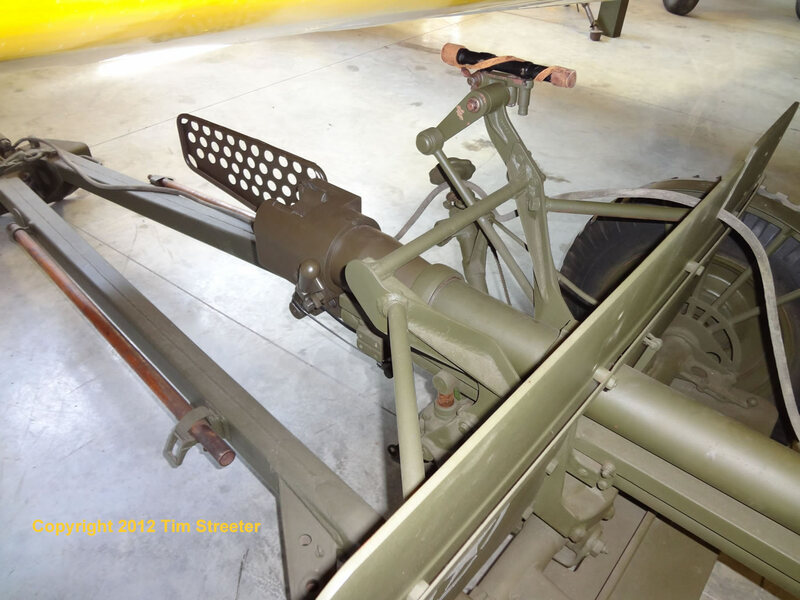 I shot photos of this 37mm gun at the Ropkey Museum in Crawfordsville, IN, in April 2012. 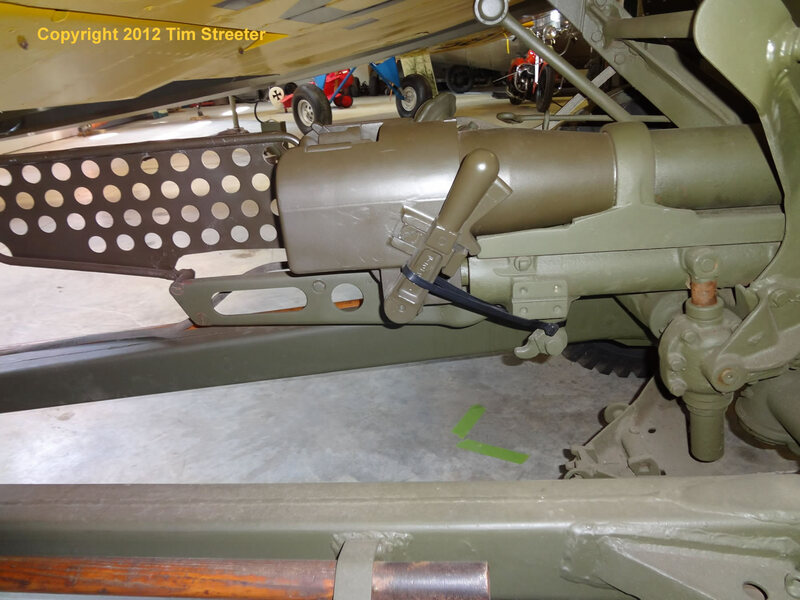 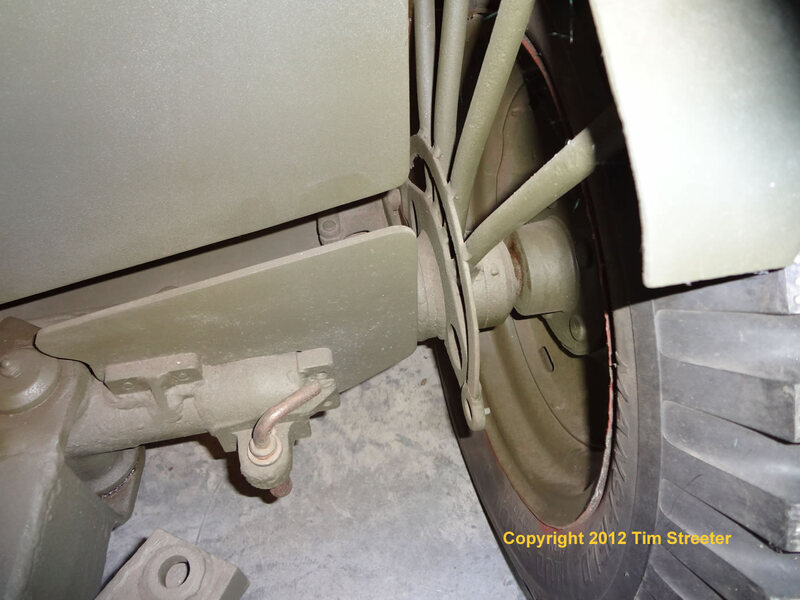 Of note are the mounted sight, mud and snow tires, and the brake light strung out to the end of the barrel. 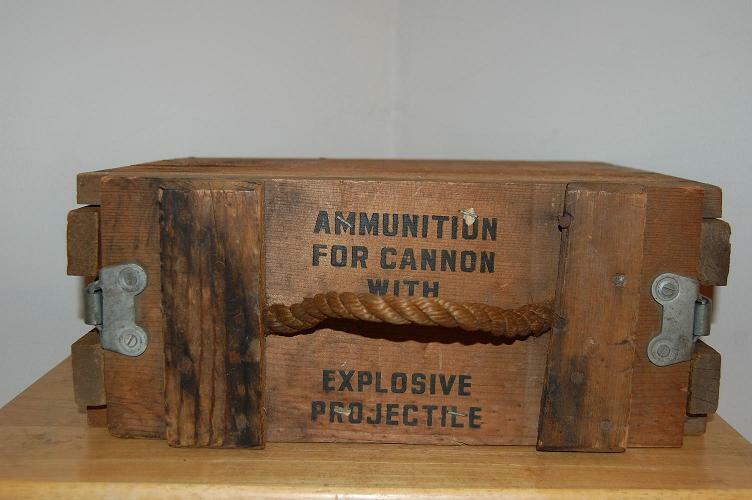 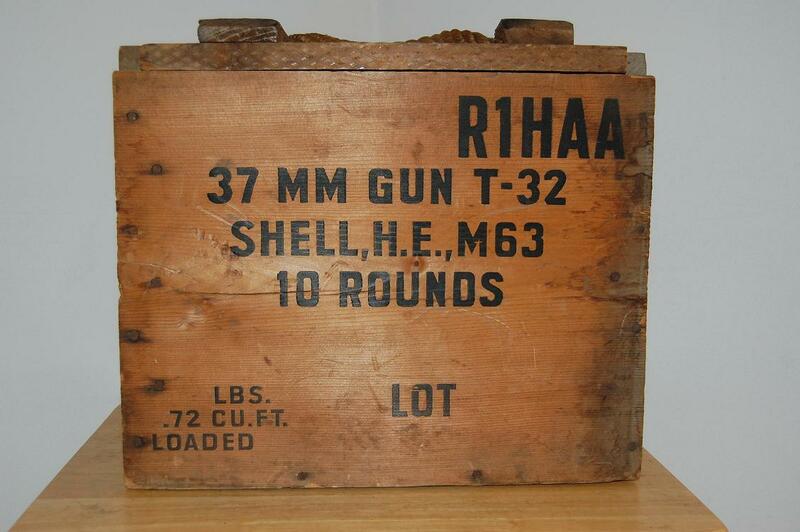 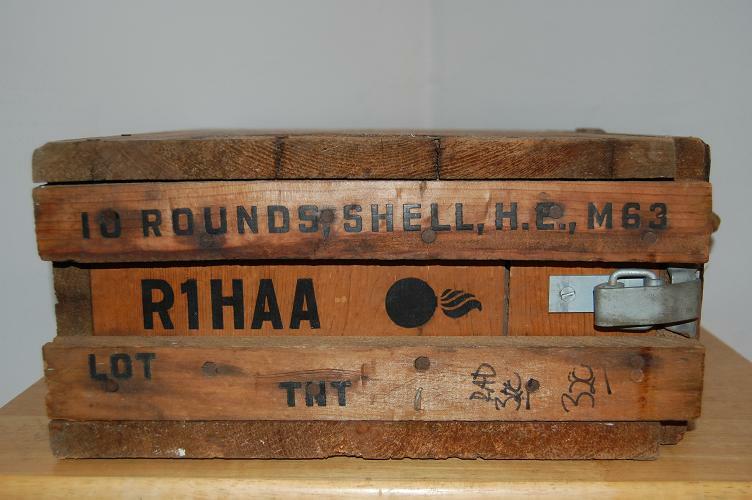 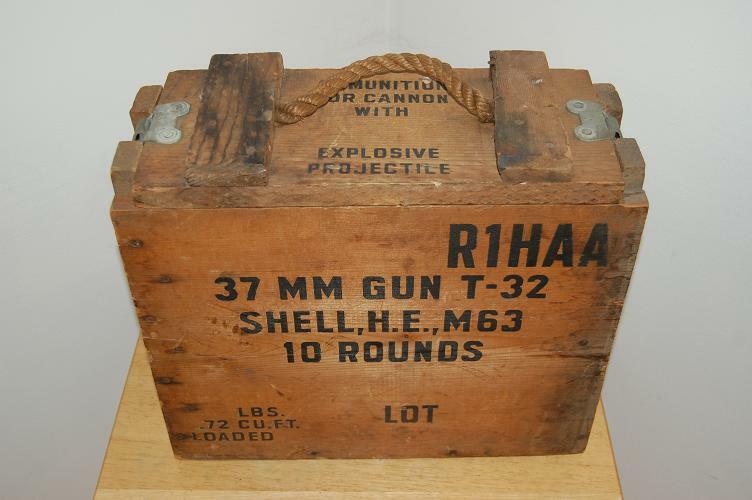 These images were found online and are used as educational photos to show the 10- and 8-round boxes for the 37mm ammo. 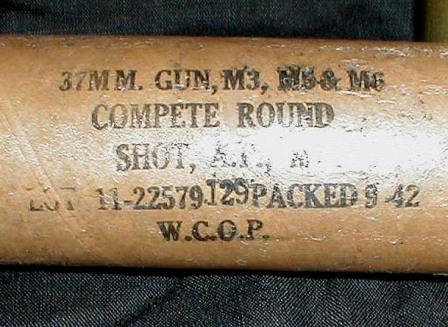 Spelling may not have been the forte of the person who made the marking stencil for cardboard tube. 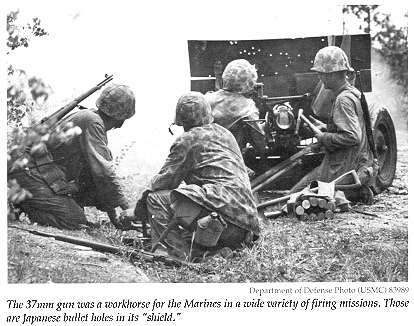 Some photos show the gun used during training maneuvers in 1941 and a less-than-successful attempt to add armor to the top of the gun shield by Marines.